Tech’s Center for Education Integrating Science, Mathematics and Computing (CEISMC) recently issued its annual report looking back on 2016. 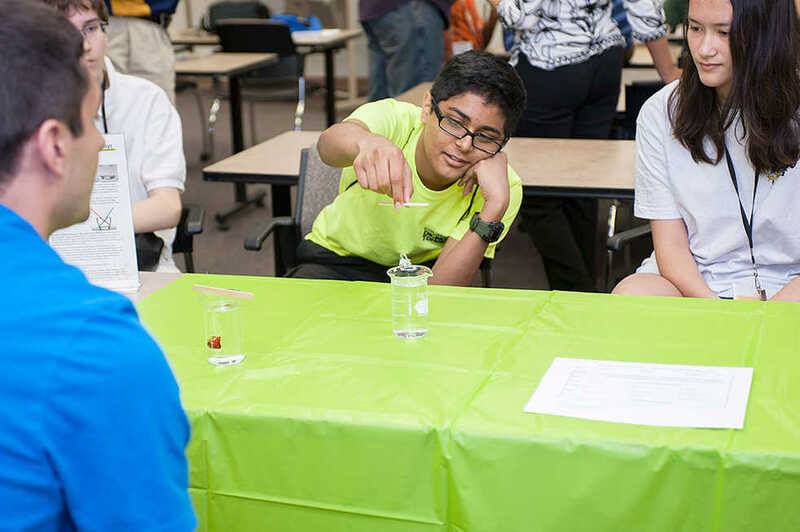 CEISMC, which advocates for and itself creates programs to enhance STEM education for students of all ages, provided updates to six of its enumerated goals in this year’s report. The first goal, “inspiring STEM enrichment and outreach for students,” saw an expansion of AmeriCorps volunteer tutoring through Tech, as well as yearlong STEM education programs through CEISMC at Tech’s Savannah campus and day and week-long programs for Girl Scouts and local teachers respectively. Other programs under this goal’s umbrella include a partnership with General Electric to engage female middle school students in STEM activities and the InVenture Challenge, a K-12 program inspired by the collegiate InVenture Prize competition. The second goal, “intensive professional development for STEM educators,” looks to develop the ability for PreK-12 teachers in Georgia to teach science and math concepts in engaging manners. The ArtsNow Impact project, a partnership between ArtsNow, CEISMIC and two Georgia public school districts (Cherokee County School District and Clayton County Public Schools), aimed to determine how effectively STEM concepts can be taught when integrated with arts concepts; preliminary results of the project indicate that students in the participating schools had a greater improvement in academic performance than other schools which were not in the program. Other initiatives under this goal include the Georgia Intern-Fellowships for Teachers program, which places K-12 educators in summer research internships, and a partnership between Tech and Douglas County to implement computer science education to all of their students. Goal three, “local and sustainable community partnerships,” focuses on prolonging initiatives with public school districts to foster long-term relationships. The newest of those relationships is with the M.R. Hollis Innovation Academy in Atlanta, whose students are able to high-tech teaching tools and whose teachers are receiving support from CEISMC for after-school programs and new teaching strategies. CEISMC staff are furthermore included on the leadership team for the school to assist in decision making. Goal four, “innovative STEM education,” works primarily with specific partnership programs, such as Advanced Manufacturing and Prototyping Integrated to Unlock Potential (AMP-IT-UP) and Science Learning Integrating Design, Engineering and Robotics (SLIDER). Both AMP-IT-UP and SLIDER are designed by Tech and CEISMC and sponsored by the National Science Foundation. “Crucial research and impactful evaluation of STEM education,” which is the fifth goal, sees CEISMC researchers studying how best to teach STEM subjects and gauge students’ progress in such areas. CEISMC researchers published two articles last year in these subject areas. As a component of CEISMC’s Research & Evaluation Group’s work, introductory-level mechanical engineering courses at Tech were studied for potential improvement. volunteer tutoring or pursue teaching STEM as a potential career path. CEISMC received $9,149,786 in funding for the fiscal year 2016, roughly 75 percent of which came from external funding sources and gifts or foundation support. For those interested in more information, the full annual report is available on the CEISMC website, ceismc.gatech.edu.